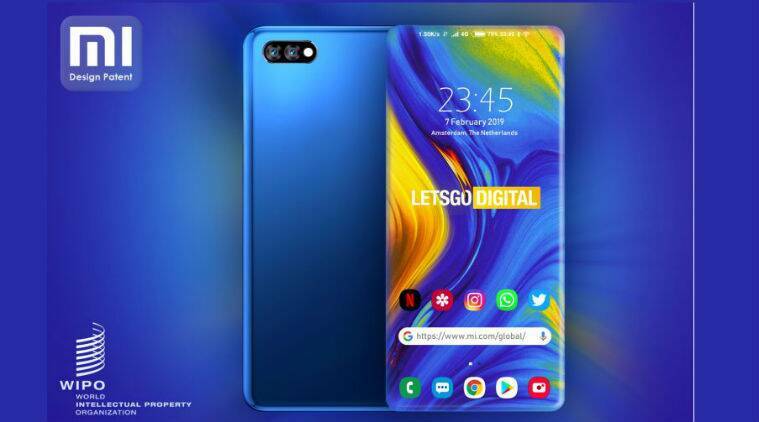 Chinese-based smartphone manufacturer Xiaomi has filed a patent with the World Intellectual Patent Organisation (WIPO) for a “full-screen smartphone with 4-sided edge display” and published in the Global Design Database on February 5, 2019. There are no visible buttons, but you do find a USB Type-C port on the bottom, while at the back, there’s a section for a dual camera setup and flash. However, the main focus is its bezel-less display, which increases the screen to body ratio like you’ve never before on a mobile phone. Read more for two additional pictures, including one showing the patent. 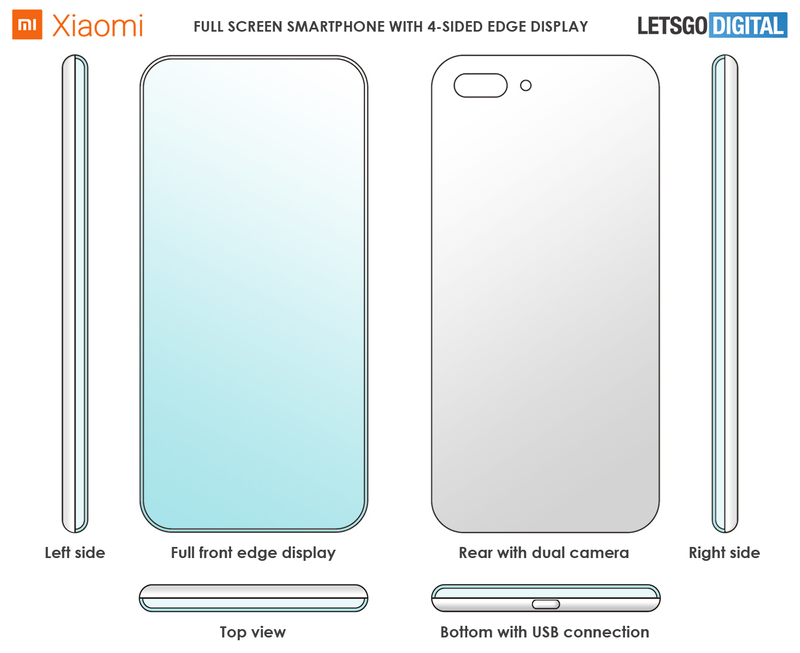 “In the past, Xiaomi has gone for two-sided curved display like Samsung Galaxy S series. 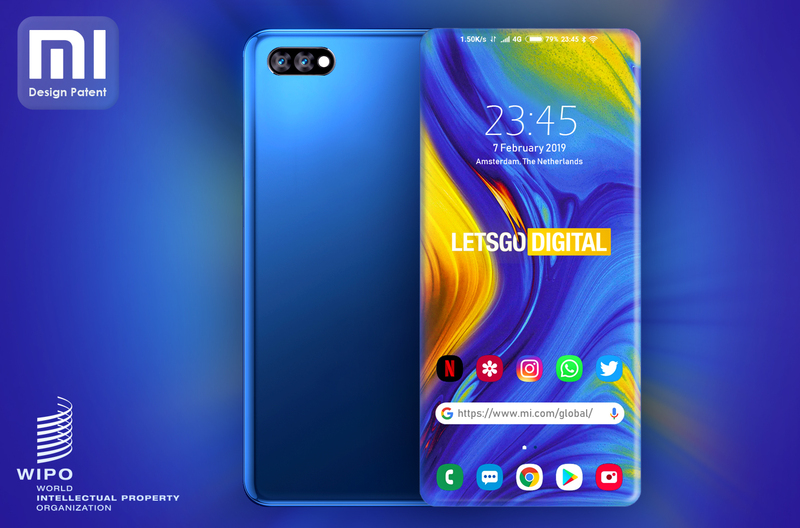 It has also gone for other designs like a slider (as seen in Mi Mix 3) and a punch-hole display (as seen in ) to give a bezel-less display. It also has a folding smartphone in development. But a display that rounds off at all four sides will surely be a new experience,” reports Indian Express.